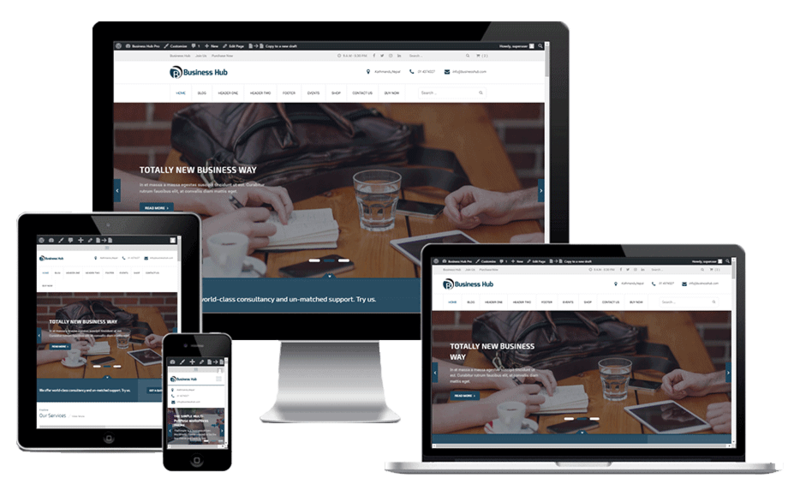 Business Hub Pro is a WordPress theme that will help you shape your idea of a tomorrow. It incorporates the aspect of marketing, innovation, beautiful aesthetic, simplicity and will help you build your dream commercial site. A very corporate-style theme, with a combination of blue and grey look and well structured sections. It provides pricing tables, testimonials, counters, photo galleries and lots more. The theme comes with Business Hub Toolbox plugin that includes Rigorous Event Calendar, an event time management tool with easy to publish Features and Rigorous Pricing Table, which allows you to create pricing tables for your website and display your price table anywhere with a simple shortcode.